You might have seen spy movies, where people take secret pictures and videos with their spy gadgets. Do you wanna be a spy for fun or serious? If yes, then don’t worry about your spy device, your phone can do it for you. 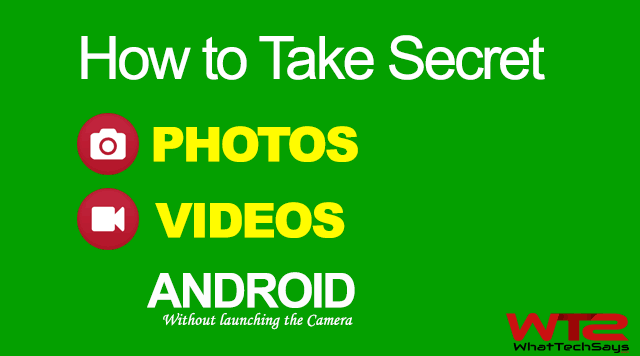 You can easily take secret pictures with Android without launching your camera app. Every person doesn’t allow to take their pictures. Many times you want to shoot a funny moment of your friend or others, but can’t be able to do that because of that person is looking at you. When you open the camera app for shooting a video or for taking a picture, you need to hold the phone in a specific position. If someone doubts on you and wants to check the mobile, then he or she will not get anything on it. Because the secret camera app would be hidden. Let’s know the procedure to convert your normal phone to a spy phone. How to Take Secret Photos on Android? Quick Camera is a free app available on Play Store, which allows the users to take secret picture and videos without launching your camera application. That means it works on the background without showing a user interface. The download link is given below. Download and install Quick Camera on your Android smartphone. 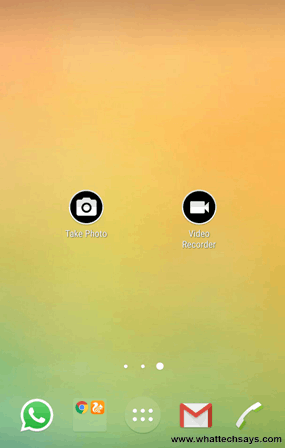 After installation, it shows three icons on your phone’s launcher; Quick Camera, Take Photo and Video Recorder. You can take secret photos as well as secret videos also. So, before starting your adventure, open the main app to check the settings. The app contains three tabs; GALLERY, SETTINGS and CONTACT US. Gallery is for taken images and videos. Tap on Settings tab to setup the app correctly. Here you can choose your phone’s front camera or back camera, in which you want to take your spy photos. 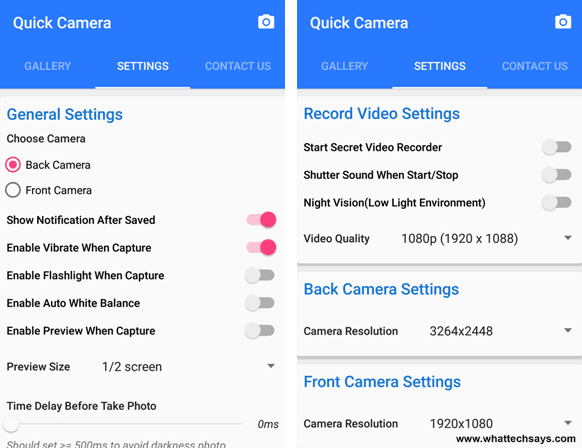 You can also set the camera and video quality for the both rear and front camera. Once it is done, close the app. Now drag the two icons (Take Photo & Video Recorder) into your home screen. This would help you to take photos and videos directly on your home screen. Now you are done! Whenever you tap any of these icons, then it performs the task. In case of video recording, the first tap is for recording and second tap is to stop the recording. There are many tweaks to take a perfect photo, which you can apply on the main application. You can also change the storage path. After taking an image, open the app to find out that image. It is a cool application to take secret pictures with Android without launching the camera. 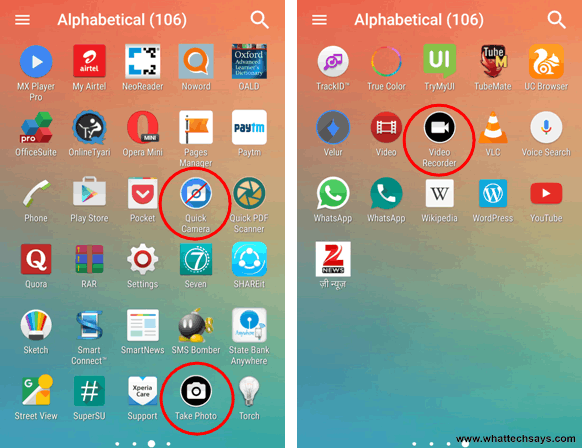 I couldn’t find the Quick Camera app in play store even after śearching….there are a few apps by at name but the icon is different. Sorry bro, this app is not available now. Glad see you again here and thanks for liking my post.